South Korean Internet giant Naver said Wednesday that it will spin off its mobile video messaging app Snow as an independent company next month, encouraged by the app’s surging popularity across Asia. Camp Mobile, Naver’s mobile business unit, plans to separate out Snow as an independent company, to be named Snow Corp., on Aug. 1 with aims to nurture the app’s future growth with more efficiency and responsibility, according to Naver. Kim Chang-wook, who has been leading the development and launch of the Snow at Camp Mobile, will become the new chief executive of Snow Corp., Naver said. 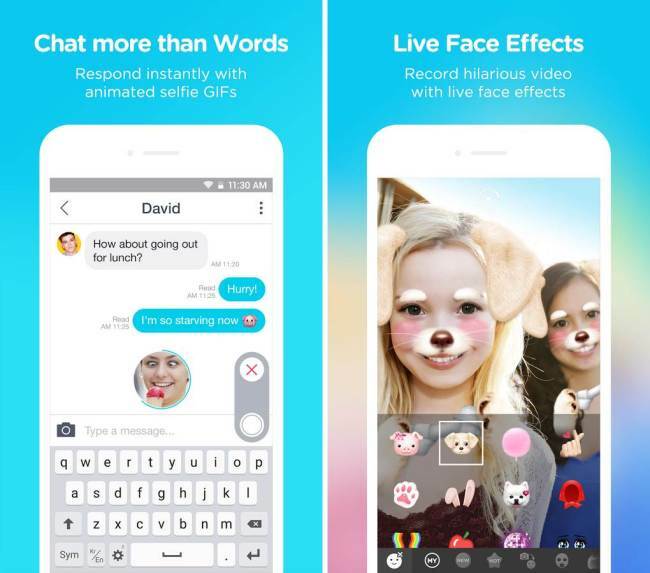 Released in September 2015, Snow is a mobile messaging app that allows users to exchange video messages and photos with other users. It offers a diverse range of camera filters that can add shining eyes, bunny ears, police costumes and more to selfies and videos. As an emerging competitor to Snapchat in Asia, Snow has been quickly garnering popularity among Asian teens, particularly those in Japan and Southeast Asia. The app has racked up around 40 million downloads on app stores in just 9 months since its launch, Naver said. In making Snow stand on its own, Naver is looking to nurture the app as Asia’s leading video-sharing interactive mobile messenger, just as it did with its flagship mobile messenger Line. “We decided to spin off Snow as an independent unit to give the app more independence and efficiency in pursuing sustainable growth in the respective Asian markets where it has been successful so far,” Naver said in a statement. Naver’s latest move is seen as part of its continued efforts to pioneer and nurture new, promising services in the highly-competitive internet technology business dominated by foreign IT giants such as Google and Facebook. During a press conference held earlier this month, Naver founder and board chairman Lee Hae-jin vowed to make “bold investment into new technologies to create new business areas to excel in,” including the globalization of its self-developed services like Snow. From Aug. 1, the newly-formed Snow Corp. will function as a 100 percent-owned subsidiary of Naver, as is the case with Camp Mobile.